Air quality is a significant concern for Utahns, and there are a number of contributing factors. The natural makeup of valleys along the Wasatch Front seals in cold air in the valleys in the winter, trapping pollutants in a cloud above our cities, and in the summer, forest fires throw smoke into the mix. Along with the unique terrain, Utah has become the fastest growing state in the country. As our population expands, we will likely see more businesses in our communities and more vehicles on our roads. Fighting an uphill battle, preventing red air days will continue to take effort from Utahns across the board. While there is no silver bullet, a collective concern in protecting our air quality can allow for a steady climb away from the smog. Whether this means consolidating driving trips, taking public transportation, or carpooling. In the case of industry across the state, improving air quality means making deliberate changes to control emissions. While some companies are reasonably hesitant to change course, others have taken a positive, innovate approach to this issue. Utah companies have invested hundreds of millions of dollars in the best available emission control and monitoring technology, and in celebration of their continuing effort, Governor Gary R. Herbert began his statewide tour of companies that are excelling at limiting and controlling emissions on Thursday, June 8. 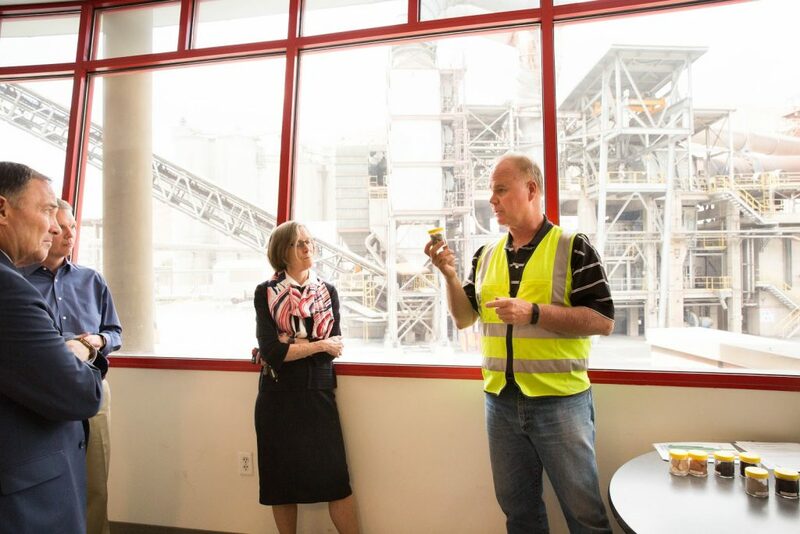 The first stop on the tour, which will continue throughout the year, was at Holcim’s Devil’s Slide Cement Plant in Morgan County. Senator Allen Christensen, Senator Ann Millner, and Representative Logan Wilde joined the governor on the tour. 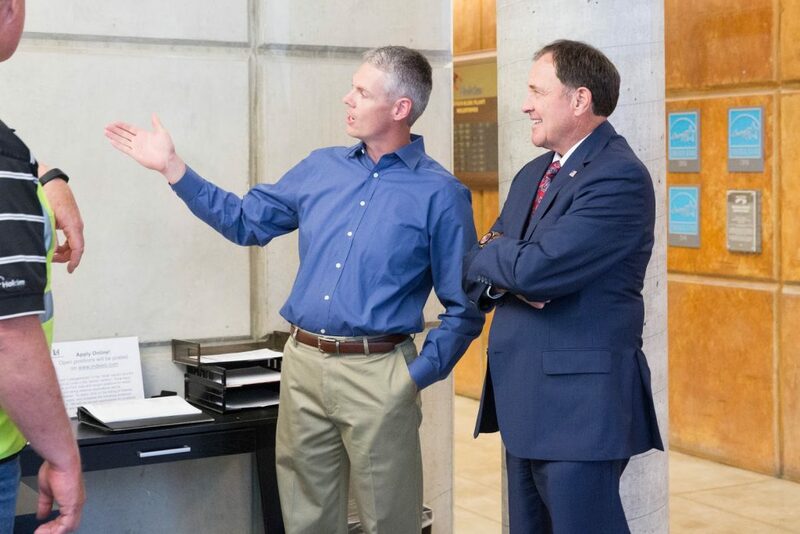 Experts at the plant walked the governor through their plant production and introduced him to their complex continuous monitoring system, which keeps track of a wide range of potentially harmful pollutants that the plant produces. The plant has been working to make a positive impact on air quality by watching and limiting the emissions of particulate matter, Nitrogen Oxides, Sulfur Dioxide, Carbon Dioxide for some years now. In the last year, Holcim introduced measures that monitor and limit the emissions of Mercury, Total Hydrocarbons, and Hydrogen Chloride. The plant, which is the largest employer in Morgan County, also runs an environmental stewardship program aimed at reducing fossil fuel use in its kiln. 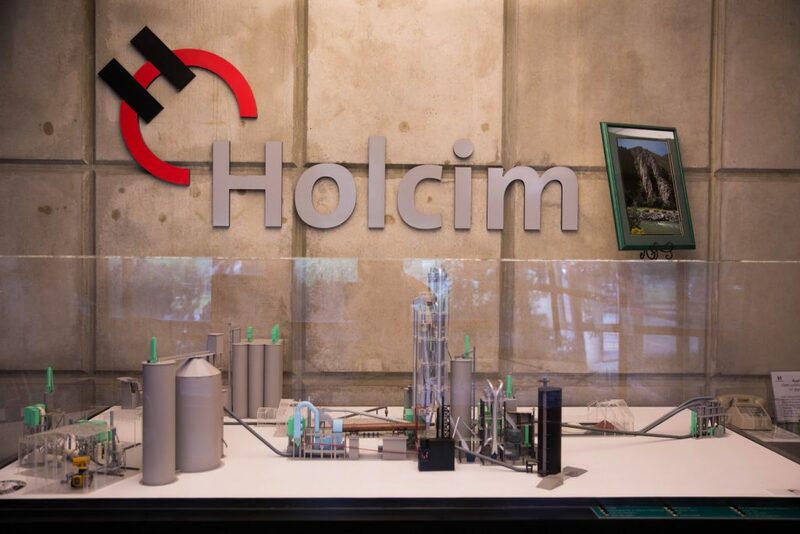 Holcim also shred plastics and used tires, amongst other recycled materials, to produce alternative fuels, which are used to fire the kiln. 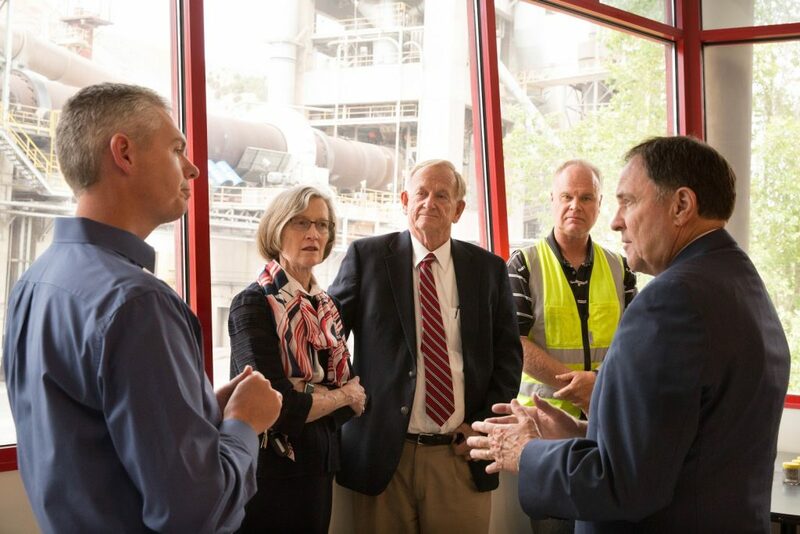 The resourcefulness and innovation at Holcim’s Devil’s Slide Plant are already making positive impacts on our environment and air quality, and are examples of the great work Utah companies are doing to do to clean up our air. Governor Herbert looks forward to his continued tour in celebration of clean air innovations across the state throughout the rest of 2017.